Click here to learn more about the violins. Watch a series of videos about the Violins of Hope. 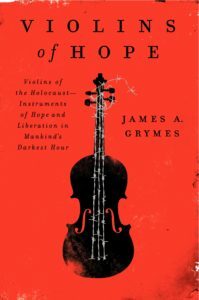 Read about the Violins of Hope in James Grymes’ moving Violins of Hope: Violins of the Holocaust — Instruments of Hope and Liberation in Mankind’s Darkest Hour.